You've Seen Theresa May's Moves, But Are African Leaders Better? Africans are known for their ability to break it down to any song regardless of their position in the society, the rhythm of the song or occasion. 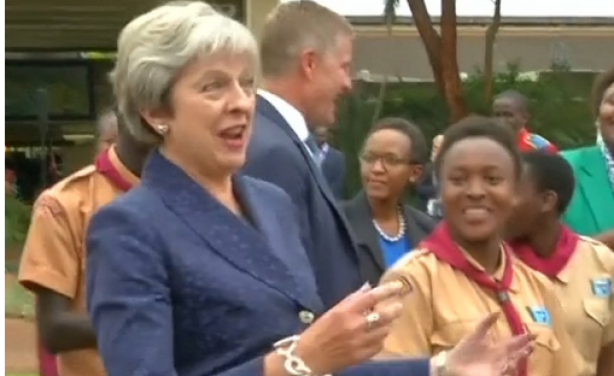 Watch who dances almost as awkwardly as British Prime Minister Theresa May did during her state visit to Kenya. VIDEO: You've Seen Theresa May's Moves, But How Do African Leaders Compare? British PM Theresa May breaking it down.